Just a FYI, I’ve been building a new blog site and it will be a new and improved Living Out Loud. So hold tight and it should be up mid-September. Thanks for being a fan! I will be in Canada for the Vancouver International Film Festival until October 2. It was my intention to set some blogs to post while I’m gone, but time got away from me. Look for new entries when I return. In the meantime, that gives you all more time to send my your character voices for Saturday Sketches. My favorite will be shared in TGIFF when I get back. Normally, I copy and paste the instructions, but I’m starting to think parts of them are confusing. So this week I’m going to make sure I really break down the challenge so it’s easy to follow. Also, I’m so impressed by all of the amazing voices I’m getting in my inbox! Keep them coming! I hope you’re having as much fun with this as I am. Each week, I will post a new character borrowed from one of my amazing artist friends. From that picture, you will do two different voices and record them into two separate mp3 files. The first voice is based on your initial impression of the sketch; your first instinct. The second take is the same voice but altered by new information. I will give you three facts about the character and that will either be a refined version of your original voice or a completely new one. Instructions for labeling them is below with the script. Send those files to me and on Friday, I will post the voice I found to be my favorite of the week. Fun and simple! You can be a professional or just interested in voiceover and using your cell phone. The point is to explore new voices and how to approach creating them. Now… this week’s Saturday Sketches! Usually, I post art from a friend. 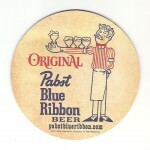 One time I was inspired by the art on a coaster that I discovered with my friend Jason Ghiselin. 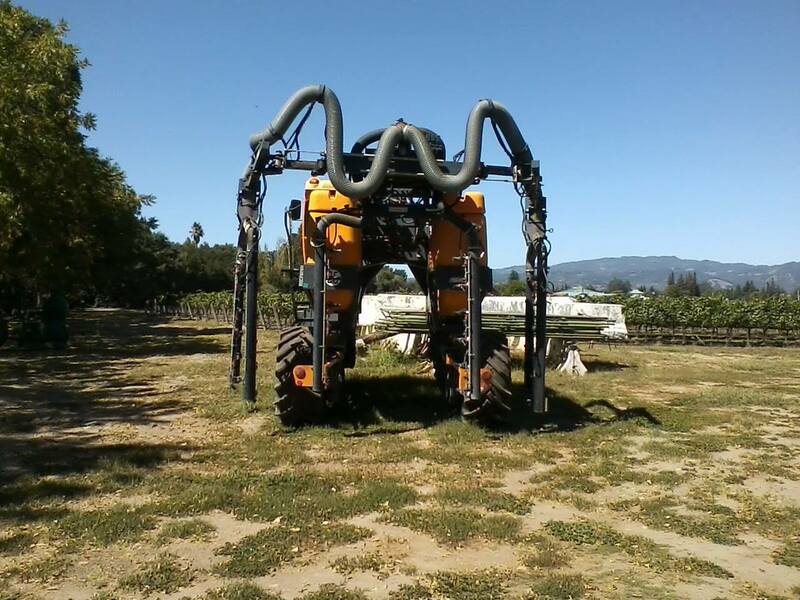 This week, we were exploring a winery and found what he thinks is a leaf pruning machine. It’s not a cartoon, but check out how much character this thing has! I think it deserves a voice. And you never know what a client is going to come at you with. Added challenge, if you know what movie that script is from, leave it in the comments below! 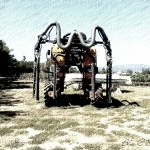 Just in case you scroll too far, I want to tell you a little about the machine. I want to make sure you get all of your inspiration just from the photo for your first take. 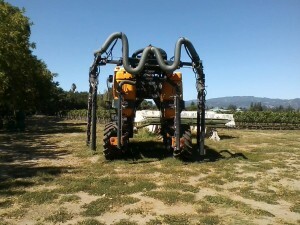 Jason and I were at the Larson Family Vineyards in the Sonoma Valley. 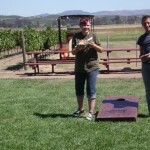 They have a wonderful outdoor picnic area which includes some fun games. 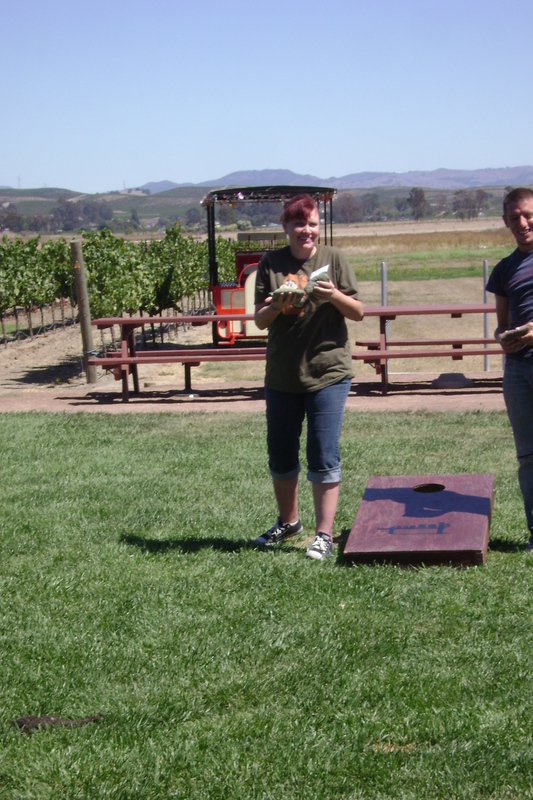 I learned how to play Corn Hole, Texas Golf, and Bocci Ball (did I spell that right?, two of which I had never heard of before. While playing, Jason noticed this giant creature out in the trees and thought it would be great for Saturday Sketches so I took his advice and now you’re voicing him! And that would be fact one. Move on to your second take below. In the daytime, he’s a silent vineyard worker, at night, he protects the world. Now that you have those ideas in your head, how did it change the voice? Record that as your second script and label it almost the same, but with a “b” at the end. Like this: CatSmith_05_b.mp3 Here is the script again. Record now. Make sure you have recorded 2 separate files and labeled them correctly. To submit, either send me your files to voices@catsmith.net or, upload them to your favorite sound sharing site, such as SoundCloud, and post the link in the comments below. On TGIFF!- Thank Goodness It’s Friday Favorites!- I will post my favorites. In the future, if there is a good response, maybe we will actually have prizes once in a while. You have from today, Saturday, until Wednesday midnight to post your takes. This doesn’t have to be on professional equipment. You can record on an iPhone and email me. Please only include one reading for parts A & B and do know that it is okay to improvise past the script as long as you stay under 30 seconds. By turning in your mp3s to me, you are giving me permission to share them. Have fun! Happy Friday the 13th! It’s thank goodness it’s Friday favorites day! I’m excited to post my favorite of the voices sent to me for last week’s Saturday Sketches, so let’s jump right in! Here is the little guy that everyone was submitting character voices for this week. He’s from a strange alien world and his name is Twis’Mah Tunik. 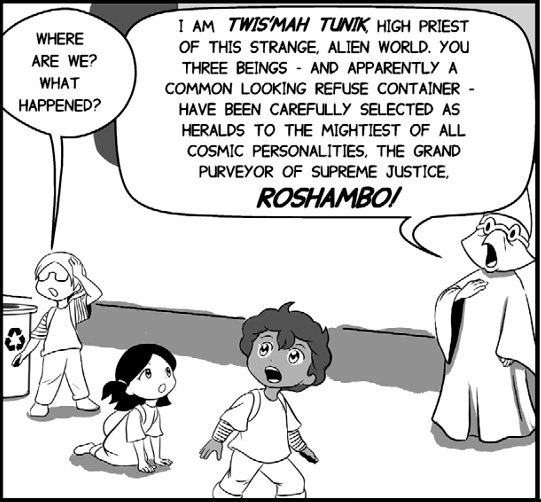 Twis’Mah is a character from Roshambo Comics first issue, The Horror of Hopscotch. It is written by Michael Dismuke and illustrated by Susan C Tsui. Thanks to Michael and Susan for letting us borrow their character for inspiration. Book one is available as a free download on thier website, but soon will be for sale in full color. 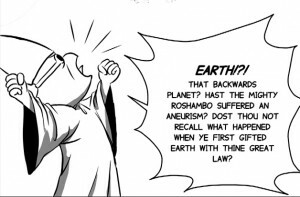 This also made me realize, I probably shouldn’t have assumed everyone knew how to pronounce Roshambo. Whoops! I don’t count it against him, but in case you’re curious, it’s roe-sham-bow. Yes, the directions were to read the same line again, but since it was another panel, I probably confused things. Isn’t it interesting how his voice changed subtly after the new facts? I love this exercise. I hope you are all having fun with it. Remember, a new one will be up tomorrow. Well, that was my favorite of the voice submissions, now here are a few favorite links from the Twitterverse. 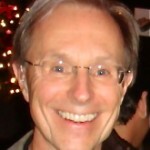 If you haven’t heard my interview with John Florian of Voice Over Virtual yet, you should go listen and consider registering. Disneybound is a Tumblr page with clothing inspired by Disney characters. Want to be a cartoon voice? Dress like a cartoon character! My interview with Age Scott, creator of a popular hip hop genre comic. Hope you enjoyed TGIFF! Check back tomorrow for another Saturday Sketches. Keep sending in those voices! 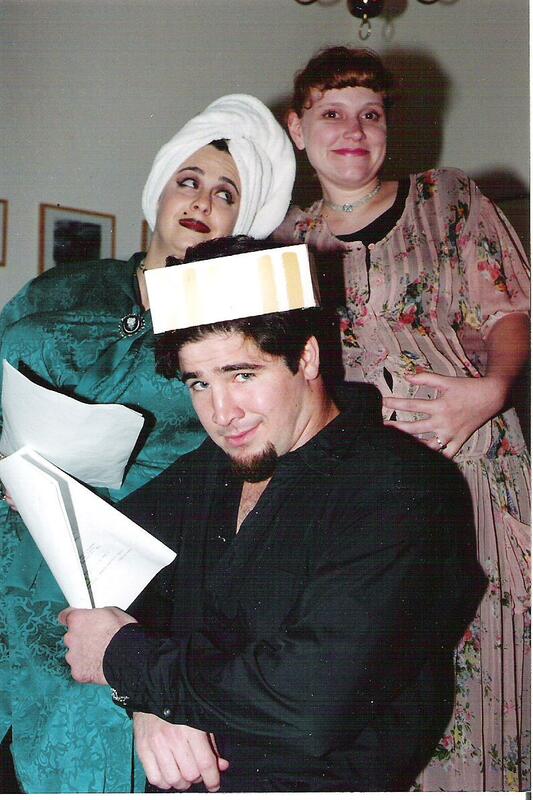 I thought I would start adding a photo on Thursdays, much like everyone does on Facebook for Throwback Thursday, but mine will all be theatre related. I’ll post them on Thursdays when I think about it. This photograph is from a student film I did for a friend who was a film major at UCSD. Kristen never titled the piece because she was never told what play the teacher pulled this portion of the script from. Having fun with it, we used a bicycle helmet for my pregnant belly. There was a scene where they showed a toupee in a gift box, so we cut a hole in the box and filmed the actor’s hair popping out of it. 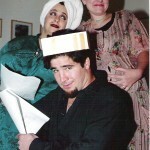 Somehow, I think we turned a very serious play very white trash but it was fun. If I can ever find that video tape, I’ll post the hilarity on YouTube. For now, just enjoy my flashback photo. Tongue Twisters are a great thing to do with your vocal warm ups. They loosen the lips, jaws, cheeks, and of course, the tongue. Every Tuesday I will give you a new one to add to your toolbox. Here is today’s Tuesday Tongue Twister. Say it at least 5 times. Sssss Ssssss Ssssss…. I feel a little snaky after that one! I’m very excited about this week’s Saturday Sketches! Before I talk about where the art came from, here’s a recap of what to do. And hopefully, you all learned a thing about the importance of following directions from TGIFF yesterday! I have a lot of illustrator friends. Every Saturday, I will load one character sketch. It may be rough, or it may be complete. This exercise may even help to flesh a few of them out. We’ll see! Look at the character. Study it. It may be a person. It could be a toaster with a face. We don’t really know what to expect until Saturday rolls around. When you feel like you have a feeling for this character, record no more than 30 seconds, in that character’s voice. (The script will be above the drawing and ad-libbing is welcome.) Save that file as yourname_exercisenumber.mp3. For example, I’m Cat Smith and this is exercise 4 so my file would be CatSmith_04.mp3. Set that file aside for a moment. This voice I want to be your first instinct when you look at the character. The reason I will place the script above the drawing is that below the drawing will be a different set of instructions. To avoid jumping ahead, here is this week’s script and sketch. Record your character voice for it now. Do your first take of Twis’Mah Tunic’s voice now. I will type out the script, but it is the words in the panel. Character script: Earth!?! That backwards planet? 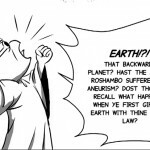 Hast the mighty Roshambo suffered an aneurism? Dost thou not recall what happened when ye first gifted Earth with thine great law? 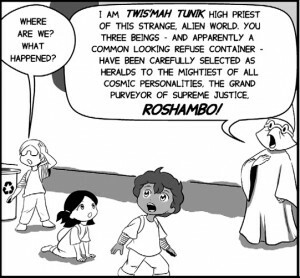 So my new friend at Roshambo Comics, Michael Dismuke (writer) shared with me a panel from issue one of their first issue, The Horror of Hopscotch! The art is done by his comic partner, Susan C Tsui. So in this week’s exercise, we will use his words and her art to complete the exercise. The character’s name is Twis’Mah Tunic. Usually, part two would have three facts for you to change the voice based on. Since I just gave you a whole lotta information on the comic, I thought it would be more fun to just give you another panel featuring this character’s personality. Use the same script as the first take, but alter the voice to reflect your thoughts after seeing this new panel. I can’t wait to hear what you all come up with! To submit, either send me your files to voices@catsmith.net or, upload them to your favorite sound sharing site, such as SoundCloud, and post the link in the comments below. On TGIF, which is now TGIFF- Thank Goodness It’s Friday Favorites!- I will post my favorites. In the future, if there is a good response, maybe we will actually have prizes once in a while. You have from today, Saturday, until Wednesday midnight to post your takes. This doesn’t have to be on professional equipment. You can record on an iPhone and email me. Please only include one reading for parts A & B and do know that it is okay to improvise past the script as long as you stay under 30 seconds. By turning in your mp3s to me, you are giving me permission to share them. Have fun! Welcome to another edition of Thank Goodness It’s Friday Favorites! A place where I share my favorite of the submissions from the Saturday Sketches as well as my favorite links from the Twittersphere! I realize that many of the people who are submitting voices are either new, or simply just exploring the world of voiceover at this point. AND THAT IS ABSOLUTELY AWESOME! But, should this turn in to a real audition on that your going for in the future, I just wanted to take a moment to point out a few mistakes that I received in submissions this week. This is by no means to call anyone out and I won’t use names. It is simply a tool that you can put in your box for future auditions. (Again, my Saturday Sketches are simply for fun and exercise. Not auditions for anything.) Also, I am in no way an expert at this point. If you really want to know how to Avoid the Audition Abyss, download that webinar from VoiceActing Academy and learn in 2 hours how to avoid the 50 most common mistakes. Not reading through all of the instructions to see that you should be submitting 2 different takes on the character. This breaks down into two problems for a casting agent:If you send one and I asked for two, I’m going to move on to someone who followed the instructions. If you sent two almost identical takes, not voice changes, just different emphasis, you’ve wasted my time. I asked for two separate files. If I’m a casting agent and I receive one audio file, depending on how many I have to go through, I may just assume you didn’t follow the directions based solely on that and move on to the next person. Incorrectly labeled. This is almost the same thing. I gave a very well worded instruction on how to label your files that you send me, but they still came in several different ways. Thinking like a casting director again, when I see that and think about the time I have for completing my project, I’m going to look for someone who labeled correctly to know they can follow my instructions. Getting chatty at the beginning of your audition. A few of you chose to tell me hello or that this whole thing is really fun. I will admit, I enjoy that! Hello back! But in a real audition, they have so many people to listen to, they don’t want anything extra.In fact, there are two schools of thought on whether or not to slate your name at the beginning of the audition. This means simply saying your name, pausing, and then reading the copy. Some people are for it, some against it. There are various reasons, but usually, an audition will say specifically which way they want it. For example, I didn’t say either way because I don’t care. That is something you will need to research on your own. However, if the audition says “slate” or “don’t slate” and you do the opposite, you may go in the junk pile. Be aware! Bottom line, we all make mistakes. I make tons. I just try to train myself every time to watch for that error next time. Please continue to submit character voices for my Saturday Sketches every week and I will continue to listen. We’re all having fun and I don’t want anyone to not submit because they’re afraid of making a mistake. For now, I just wanted to congratulate Glenn Higbee on being Saturday Sketches 3′s spotlight voice. The picture is below, voice one was based solely on that image. He’s known to break out in song. 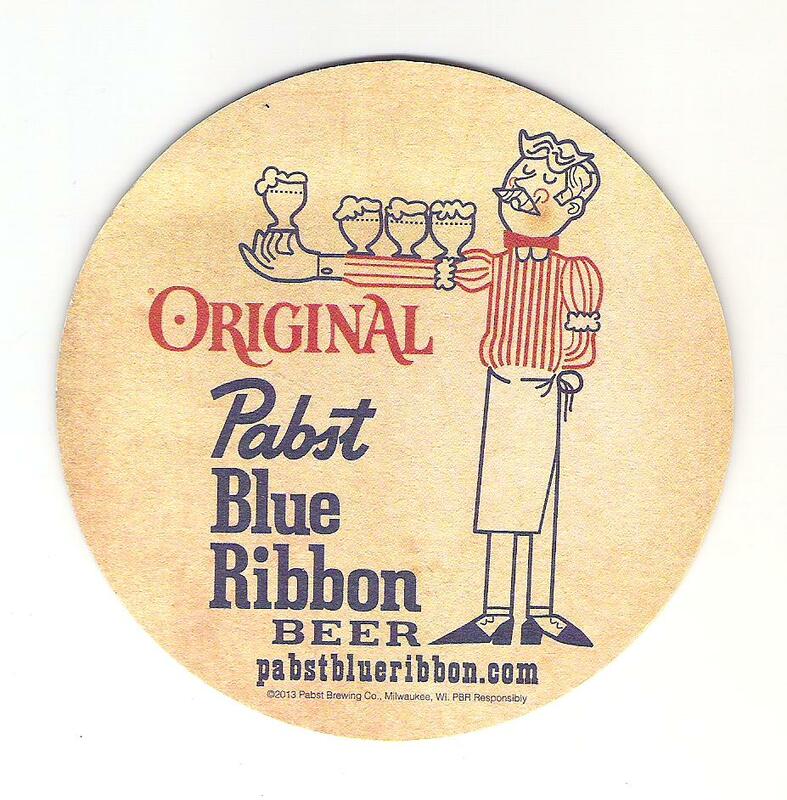 He is not an old-time saloon employee but rather current in 2013. I really like how different these takes are and how just after considering some facts aside from the picture, he came up with a completely different voice. Great job John! I hope this inspires you, and I hope no one feels singled out as it’s not my intention at all. I simply want to help you all get the best of your voiceover journey as I go through mine! Check back tomorrow for Saturday Sketches 4! 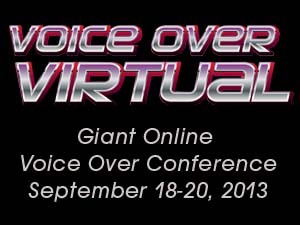 I had a lot of people ask if there would be a podcast of the interview with John Florian about the upcoming Voice Over Virtual Online Conference. While the website for Hollywood & West Napa St is updating fast, we’re not quite up to date. For those interested, I’m posting a podcast of the interview here. Enjoy! And click any of the links to explore their site and sign up for the September online conference. Original air date of interview was August 20, 2013 on Sun FM 91.3 KSVY Sonoma. Adventures in Voice Acting Blog An official blog dedicated to “Adventures in Voice Acting” and all things Voice Actor related. mris on New year. New me. a.k.a. I know things now. Jonelle cobb | Rentoblog on WonderCon or bust!